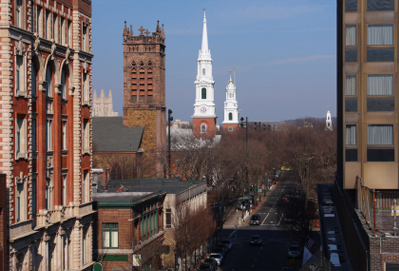 Dolan & Dolan, LLC is one of New Haven’s premier Personal Injury and Family Law firms. At Dolan & Dolan, we pride ourselves on our accessibility and approachability. We understand that our clients often come to us at the most difficult junctures of their lives, and we gain satisfaction from our work by helping them effectively navigate and work through these difficulties. As a small firm with a carefully selected client base, we are able to provide our clients with the personalized service that they won’t find at other larger firms. Rather than just an office number, our attorneys will provide you with their personal cell phone numbers so that you can reach them on weekends and outside of normal business hours. Michael and Matthew Dolan have each been named to the National Trial Lawyers Top 40 Under 40 for the State of Connecticut. Attorney Matthew Dolan has been selected to the New England Super Lawyers Rising Star list in the area of Family Law for 2015 through 2018, while Michael was selected to the same list in the area of Personal Injury Law for 2017 and 2018. Each year, no more than 2.5% are named to the Rising Star list. Both Michael and Matthew received the 2017 Connecticut Law Tribune New Leaders in the Law Award. Call or email Dolan & Dolan, LLC to set up a consultation today.